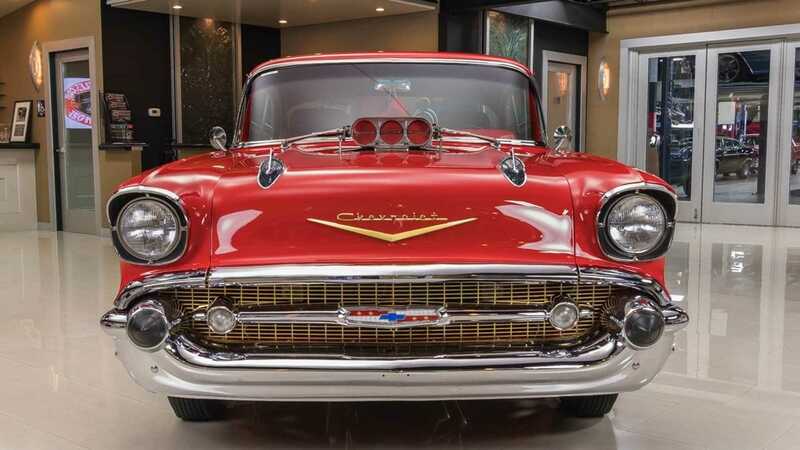 Even today, a 57 Chevy doesn’t get old. It never has done. 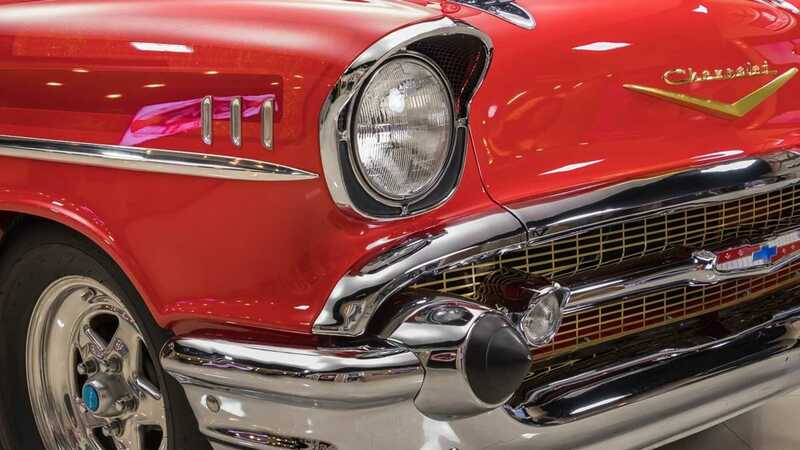 A car that set Chevrolet on the road to success has won fans in every facet of the planet. A car that’s as at home on the streets of Cuba as it is being souped up to the nines in Midnight Club. 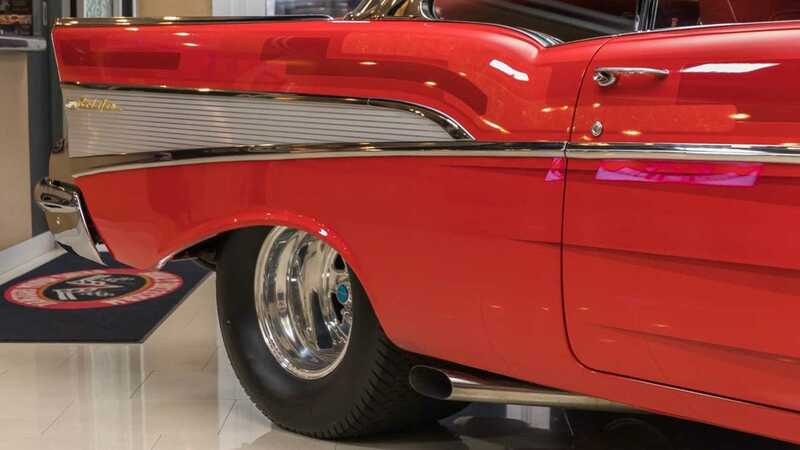 Dressed in deep red paintwork with a stunning interior to match, this drag inspired Bel Air just looks, well, perfect. 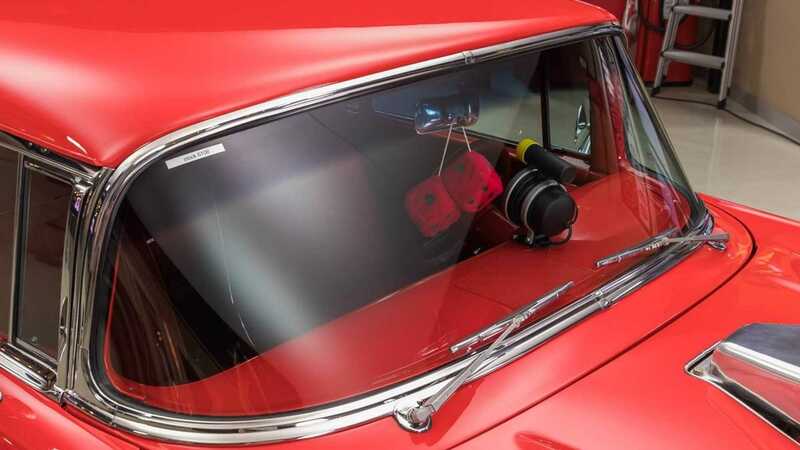 With a meaty blower protruding from the sculpted hood it’s this beast means business. 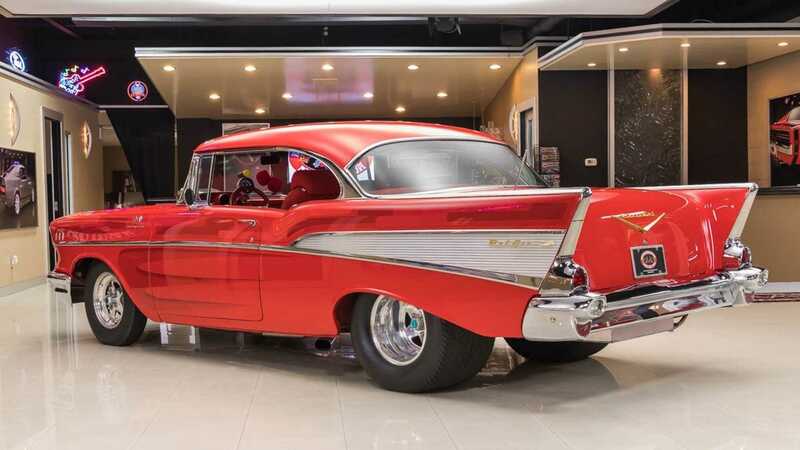 Look further back and you will see rubber hiding under the arches that would be more appropriate on a tractor than a fifties car, but somehow it just looks right. The blend of stock and modified is somehow perfected, and is rather easy on the eye. Although the original motor was amusingly named the Super Turbo Fire V8, that engine if originally specified is long gone now. 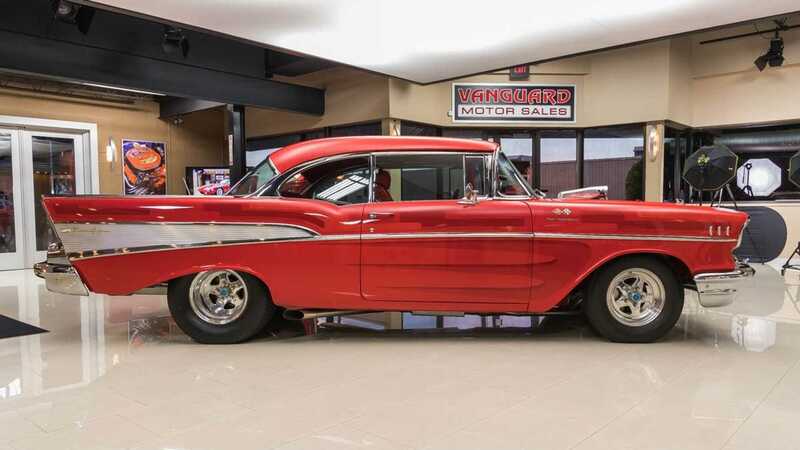 The top of the line motor for 1957 produced 283 hp, today it produces ever so slightly more than that. 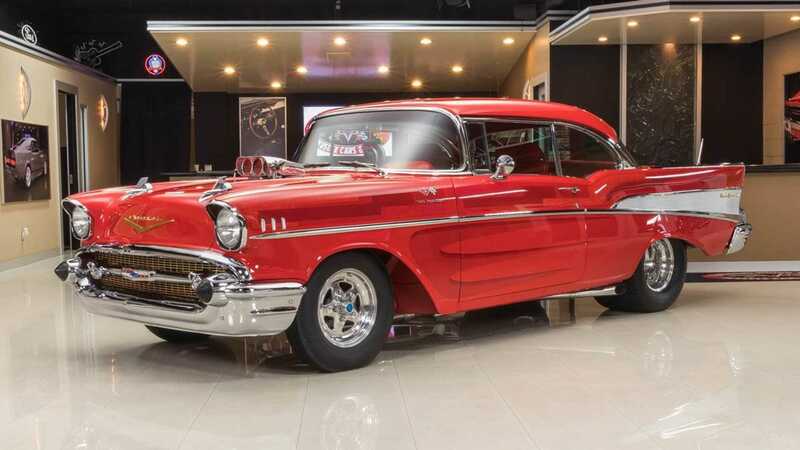 Fitted with a Supercharged Performance GM Big Block crate motor, its capacity sits at a whopping 502 cubic inches, or 8.2 liters. 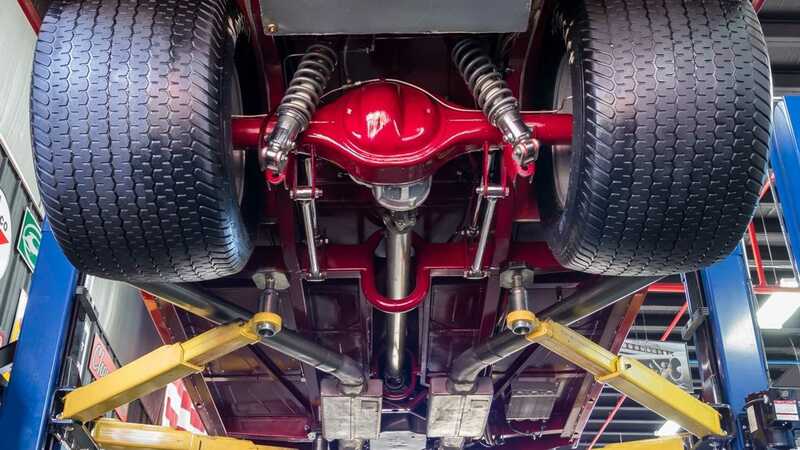 If that wasn’t enough room for many explosions to happen, there might be a sizable one in your pants when 750-horsepower is unleashed on the world. With electronic fuel injection you can also guarantee smooth running, albeit not how the designers had intended. Then again, the designers probably didn’t intend for it to be home to 750 horses. Whilst on the verge of insanity, smoother operation will be guaranteed via the three speed automatic transmission. 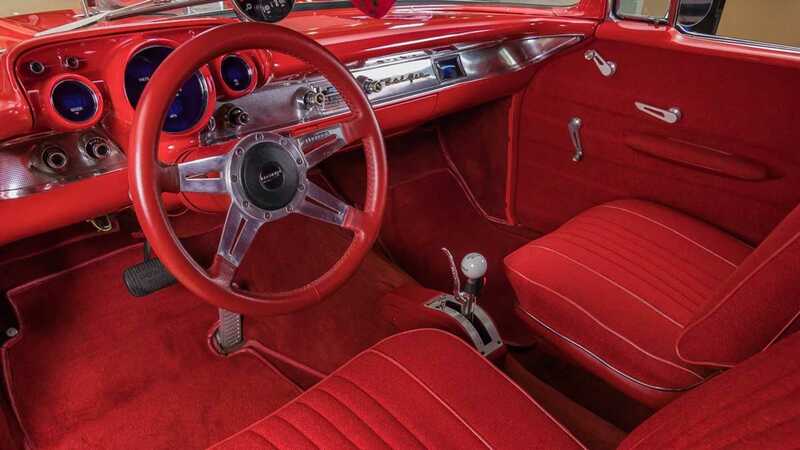 There are one or two hints at the power on tap aside from the aforementioned tires, such as the electronic set of instruments in lieu of the old fashioned sweeping setup. 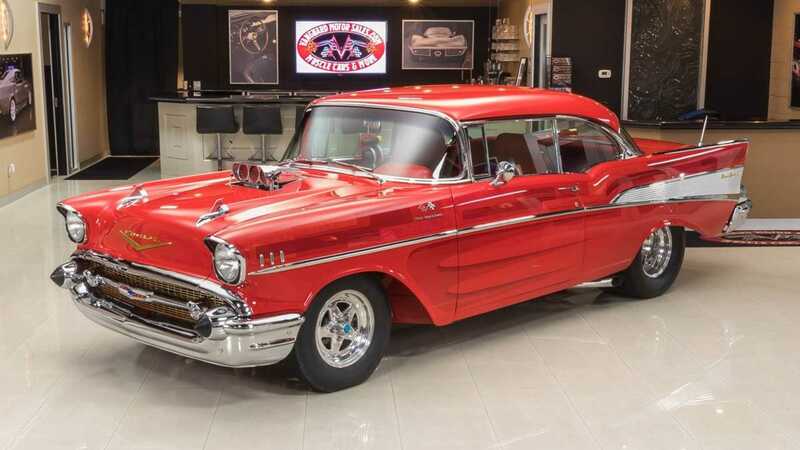 For more information on this stunning Belair, visit the Motorious classifieds where it’s listed for $119,900.